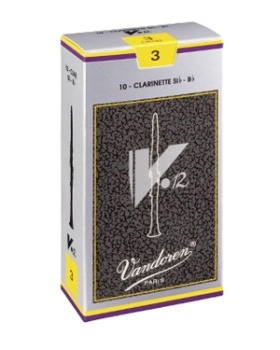 V.12 Reeds For Bb Clarinet Are Manufactured From Cane Tubes With The Same Diameter As Cane Used For Alto Saxophone Reeds. As A Result, They Have A Thicker Heel And Are Cut On A Longer Palette With A Slightly Thicker Tip Than The Traditional. The Longer Palette Means That More Of The Reed Is Vibrating, Resulting In A Deeper, Richer Sound. The Thicker Tip Gives Body To The Attack And Also Increases The Longevity Of The Reed.